Enjoy ice fishing Door County inland lakes for walleye, northern pike, perch and bass. Fish for northern pike, whitefish and perch in Sturgeon Bay if ice conditions allow. Ice Fish Door County inland lakes for walleye, northern pike, bluegill, perch and bass. Fish for walleye, whitefish, brown trout and perch on the bay of Green Bay. Ice Fish the bay of Green Bay and the Fox River for walleye, whitefish, northern pike and brown trout in Sturgeon Bay and Northern Door County until ice out. Fish the open waters of Green Bay, Fox River, Menominee River and Sturgeon Bay for walleye and northern pike. Also enjoy fishing for early Spring brown trout in Northern Door County and Sturgeon Bay. Night fishing trips for trophy size walleye in Door County. Enjoy good catches of walleye from 18″-24″ in central and Southern Green Bay. 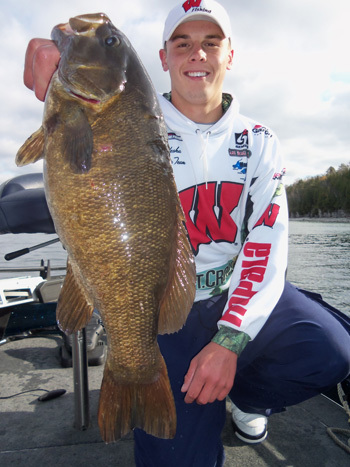 Fish for smallmouth bass in Sturgeon and Northern Door County. Fish for northern pike in Sturgeon Bay. Night fishing trips for trophy size walleye in Door County. Enjoy good catches of walleye from 18″-24″ in central and Southern Green Bay. 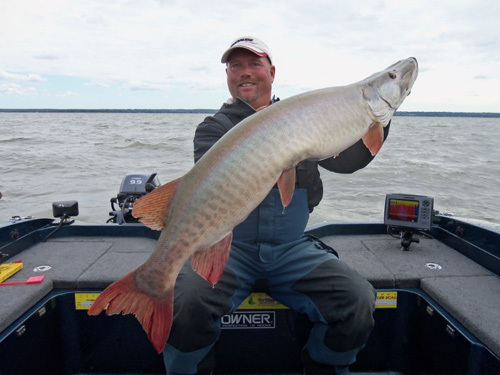 Fish for smallmouth bass in Sturgeon Bay and Northern Door County. Also fish for salmon in Northern Door County. Enjoy good catches of walleye from 18″-24″ in central and Southern Green Bay. Fish for smallmouth bass in Northern Door County. Also fish for salmon in Northern Door County. Enjoy good catches of walleye from 18′-24″ in Central Green Bay. Also fish for trophy size walleye in Northern Door County. Fish smallmouth bass in Northern Door County. Fish for trophy size walleye in Door County. Day and Night trips available. Fish for smallmouth bass in Northern Door County. Also fish for muskies in the bay of Green Bay. 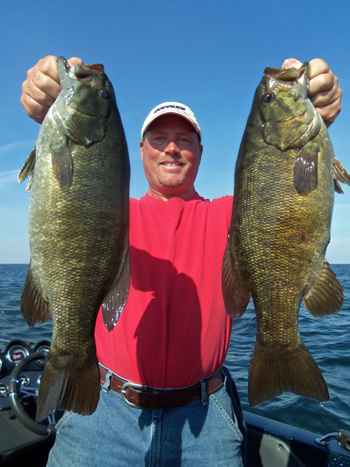 Exceptional fishing for trophy size smallmouth bass in Door County. Night fishing trips for walleye in Door County. Also fish for muskies in the bay of Green Bay. Fish for trophy walleye in Little Bay De Noc, MI if weather conditions allow or ice fish Door County inland lakes and the bay of Green Bay for walleye, northern pike, bluegill, perch and bass.